The VeinOPlus® Vascular Device: Unmatched Signal Pattern with Patented Electro-Medical Technology. VeinOPlus® with Second Heart Technology is proven effective. 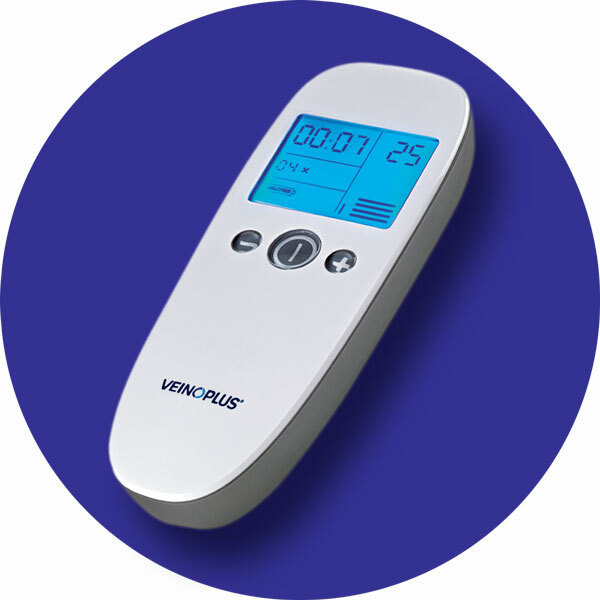 VeinOPlus® is a portable electro-muscle stimulator programmed for improving blood flow in the lower limbs. The VeinOPlus® Vascular device weighs 24 grams and powered by a 9-volt battery. VeinOPlus® utilizes proprietary electro-medicine technology developed by Dr. Cywinski, the holder of patents and over 100 scientific publications in the field of electrical stimulation of human tissue. The VeinOPlus Vascular device increases blood flow for patients living with chronic edema, post thrombotic syndrome, claudication limb pain, and hard to heal foot or leg ulcers. It’s about treating the underlying vascular conditions and improving quality of life for patients living with these chronic vascular conditions. FDA approved, and it works. The VeinOPlus®, a class II device, is approved by the FDA and covered by Medicare and most private insurance companies. Vascular Surgeon Dr. Charles Dunn explains how VeinOPlus treats chronic venous disease and peripheral arterial disease in this video. The above represents a listing of VeinOPlus studies, principal physician, and date of publication.